Finally, the Christmas holidays are here! The school closed slightly earlier today so I raced home for some extra craft time. First up, plying the first singles blended with the new blending brush. When making rolags, it didn't seem too different using a blending brush over the coarse paint brush the board came with. When spinning it felt largely similar too, there was still the odd nepp though it was s little smoother and predrafting was easier. 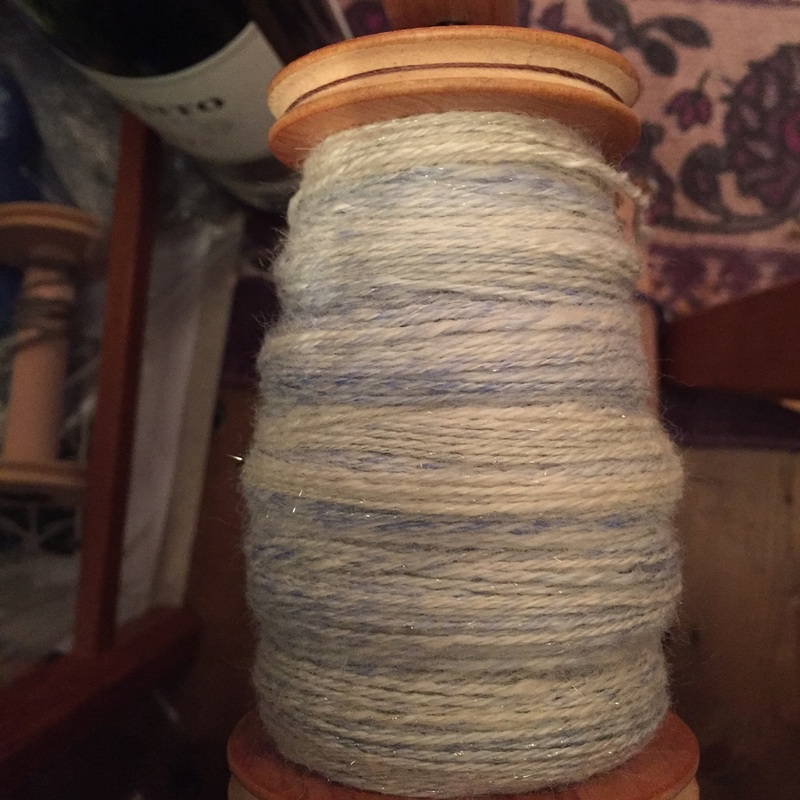 The difference has shine through in the plying though: usually despite my best efforts, I get 2-3 breaks per 100g of chain plying, but this was consistently strong right through and this bobbin full has NO BREAKS. None. Now I'm starting a new bobbin of cream BFL singles tha will be dyed In my first batch of dye this Christmas. New wool craft! Eff yeah! At the moment the main barrier is our little three-legged cat Mina, who has a real thing about natural fibre and licks it like candy floss. If you know how rough and spiky cat tongues are, you'll be able to imagine how this turns out. Lots and lots of cat spit.